Cumi just stumbled upon this fabulous place for that Sabah favorite, Tuaran mee, and this weekend he promptly had me in tow, to check out the place. 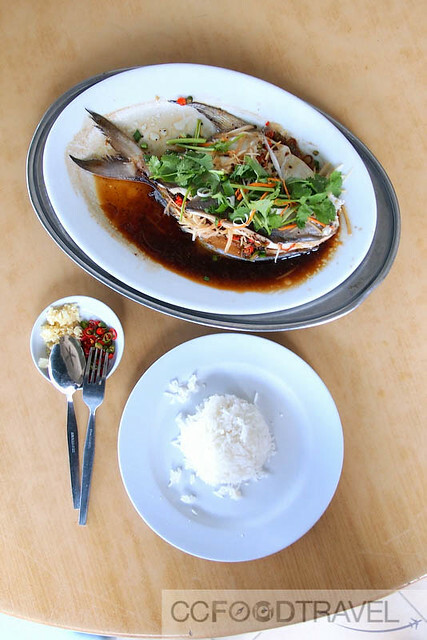 Named after two partners, Ah Soon Kor is located in SS3 and serves a delightful mix of Sabah noodles, local chinese daichow dishes, specialties from Rawang (steamed fish) and also a bit of Vietnamese cuisine as well. The secret is in the fried egg, says the chef Chris. He himself is from Tuaran and he moved to KL more than a decade ago. 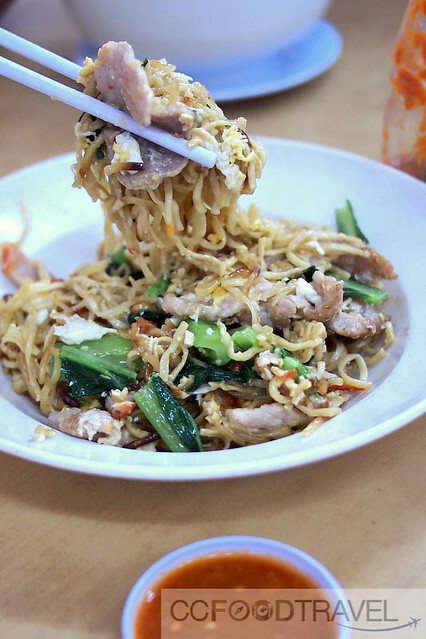 There are two types of Tuaran mee, the wetter version and the dry version. You can ask Chris to prepare it in the style you prefer. Cumi tried the dry version and I had the wet version. The chef himself likes the wetter version but many prefer the dry version, being unaccustomed to the sogginess of the mee. I quite liked the wet version but I need to go back to try the dry version before I make my decision. However, the wet one was pretty darn delicious! 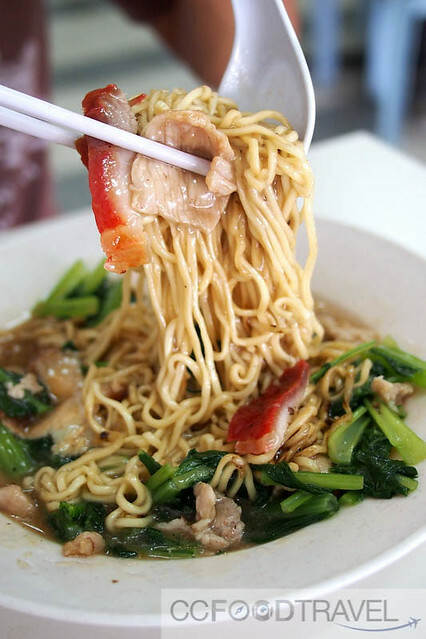 Talking to Sabah born Chris, he tells me that the Tuaran noodles are handmade and it is deep-fried and then boiled. After that, it is fried again with egg and homemade char siew. What an interesting technique.. no wonder the noodles tasted so eggy and delicious. There are many versions of Tuaran noodles, some make it eggier than others, some sweeter, and some more salty apparently, but I really liked this one, with tons of wok-hei (smokiness from wok frying). 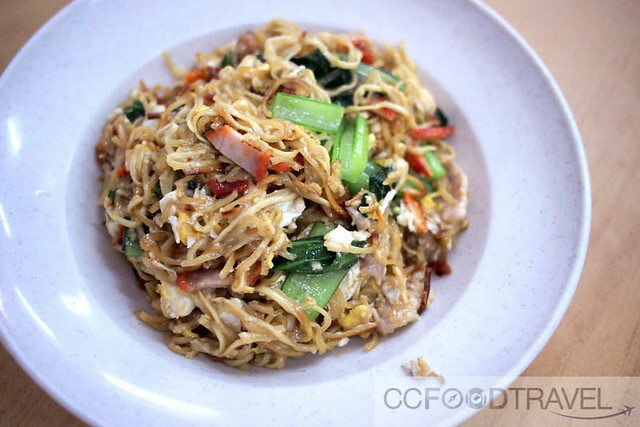 A good plate of fried Tuaran mee is fragrant, very eggy, delicately springy – the noodles look wavy and taste slightly smoky. This plate came with generous chunks of charsiew, choy sum and pre-marinated pork slices that were already soft & succulent with flavour. If you look at the menu, you will see the varied items at Ah Soon Kor include Sabah Soya Chicken, Sabah Pork and Yam (looks like the Hakka specialty), Yellow Wine Chicken, Braised Pig Trotters, Vietnamese Pho, Vietnamese Spring rolls, Stewed Pork Ribs, Steamed Tilapia in Rawang style, Tuaran Mee and Beaufort Mee. 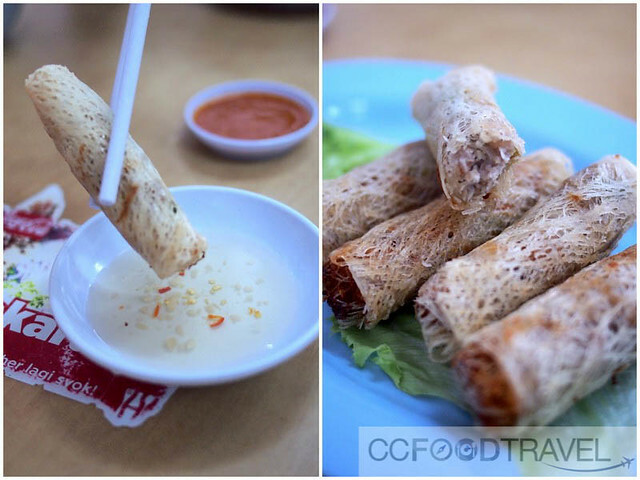 But cha gio, the Vietnamese style spring roll here is totally delicious. 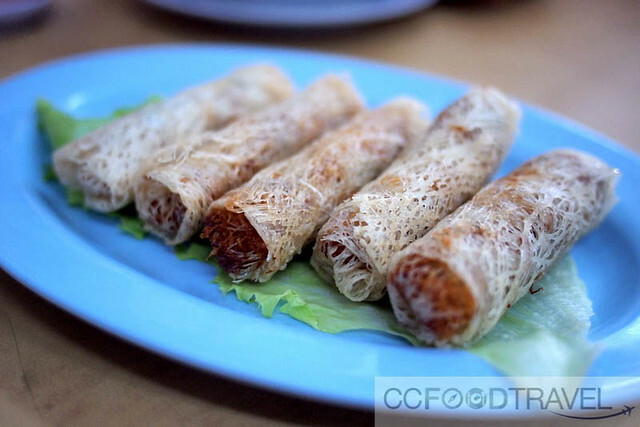 A skin of finely latticed vermicelli sheets gives it that interesting texture – Deep-fried to a golden crunchy brown, these were filled with a moist mixture of pork mince, desiccated coconut, shredded carrots, mung bean noodles (cellophane noodles/glass noodles), and the end result is utterly delicious and tantalizing. The deep-fried, crunchy, and golden brown exterior is super addictive when dunked in the sweet, sour, spicy nuoc cham (Vietnamese dipping sauce). These rolls come served on a fresh lettuce leave but I like to eat mine with the aromatic mint leaves that they serve on the side with the Pho, the final dish we tried at this restaurant. 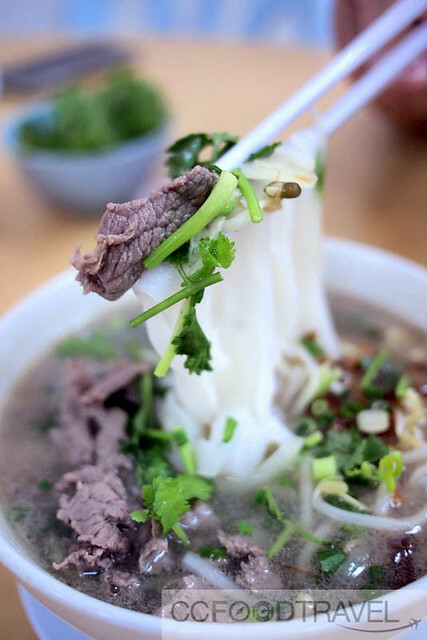 Hot, brothy, salty, and soothing beef noodle soup.. I had high expectations for this Vietnamese favorite. There are few things tastier than a bowl of smooth, al dente rice noodles in a rich, intense beefy broth with warm aromas of cinnamon, cloves, and star anise, a hint of savory-salty fish sauce balanced by a squeeze of lime juice and a handful of fresh herbs and chilies that you add to your piping hot soup, of slices of medium well cooked beef. This pho was tasty enough but not the best we have had. Beef was slightly overcooked. 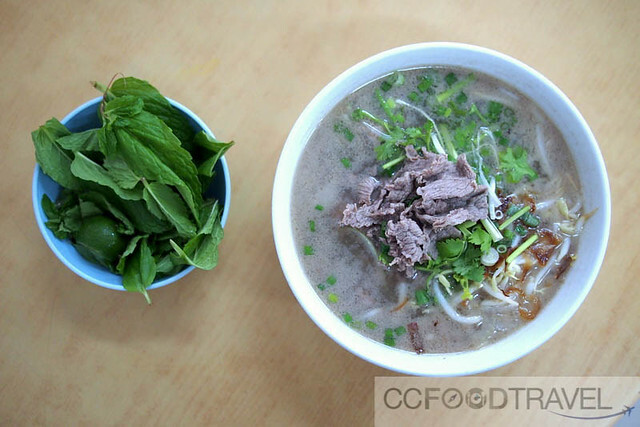 It was lacking in oomph – not sure what it is, maybe the broth needed more spices and probably only a Vietnamese would know how to fill in the missing component. Anyway, the Tuaran Noodles set us back by RM8, the Pho and Spring Rolls were RM7 and RM6 respectively, per portion. 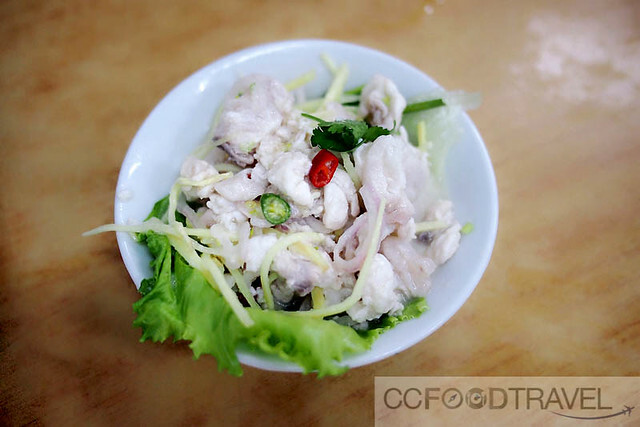 UPDATES DEC 2016: Ah Soon Kor no longer does the Vietnamese dishes… but now he has added a super delectable Hinava, to his repertoire! I find the sour, sweet, spicy raw fish just irresistible.. I ate tons of this toward the end of my pregnancy.. go figure! haha .. 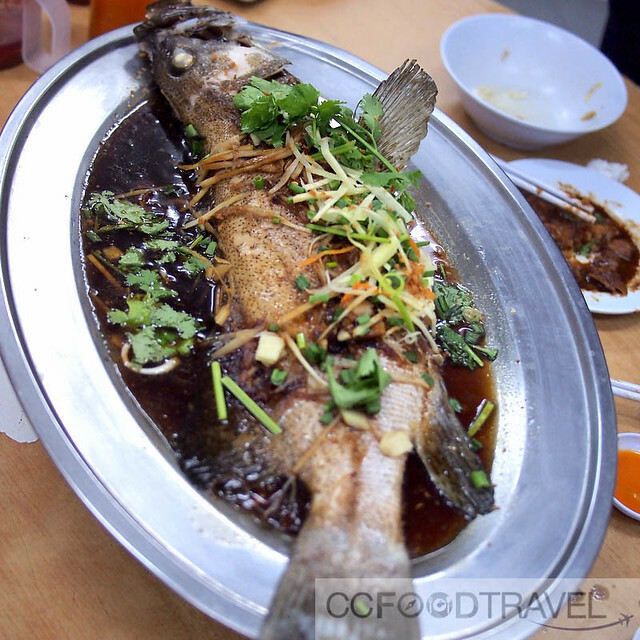 UPDATES SEPT 2015: We recently went back for the steamed fish, Woo Tau Kau Yoke (steamed pork belly and taro), as well as Beaufort noodles.. feast your eyes on this.. 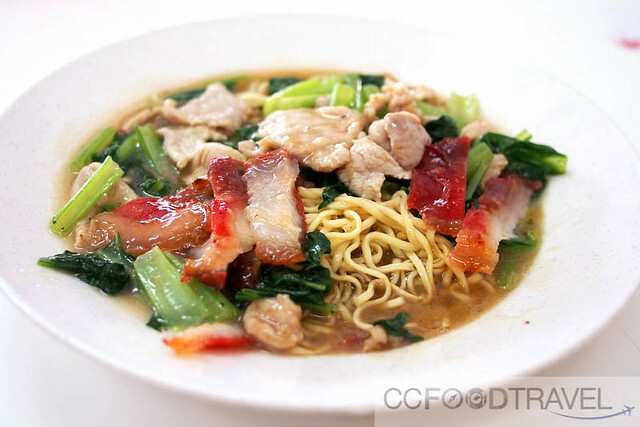 Delicious Beaufort noodles – but we only like the ones prepared by Chris himself – somehow he has the perfect balance of flavours in his noodles. Be sure to ask for the Chef’s on fresh chili. This one packs a punch and goes rather well with the Beaufort. This was Chris’ lunch.. I guess a chef who eats at this own restaurant is a good sign! 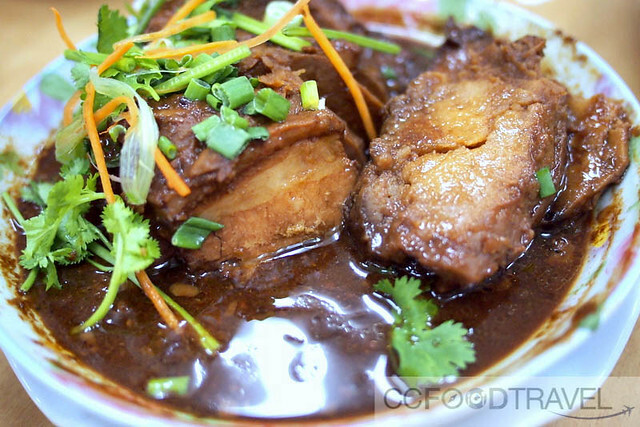 Fabulous Woo Tau Kau Yoke – salty so you need a ton of rice to go with this one! We spoke to Chris and found out that in the mornings, he will soon be offering dimsum too. Can’t wait to go back and try this. The Vietnamese noodles might not be on offer anymore though. OH MY, throwback to the good old days when you blogged about streetfood (it IS streetfood right, and not some atas kopitiam) gems like this!!! 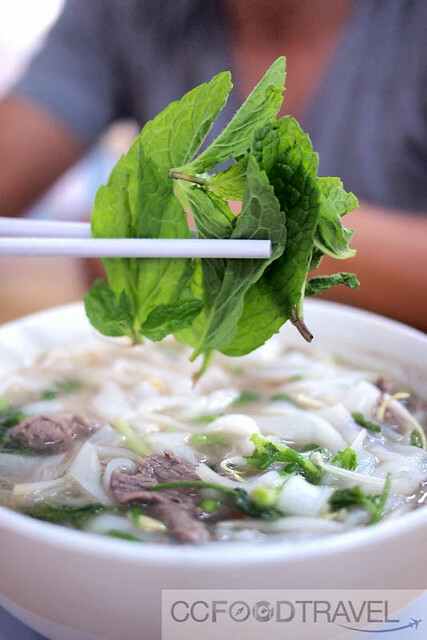 actually, having recently watch the son make pho, i appreciate how hard it is to get a broth with kick… this is def a must visit on my bucket list.